JK Rowling's clandestine double-life as a crime writer has been exposed. The creator of the Harry Potter saga was outed as debutant crime writer Robert Galbraith after a Sunday Times investigation. Conspiracy theorists will immediately point out that the "revelation" has resulted in a massive sales spike for the Galbraith novel 'The Cuckoo's Calling'. The book was published in April to a warm reception from reviewers. Given that it had only previously shifted 1500 copies though, the timing of the Sunday Times story was propitious for the publishers Sphere (part of Little Brown, Rowling's usual publisher). Rowling owned up. "I hoped to keep this secret a little longer," she said, "because being Robert Galbraith has been such a liberating experience. It has been wonderful to publish without hype or expectation and pure pleasure to get feedback from publishers and readers under a different name." She was probably comparing the experience of publishing her first adult novel 'The Casual Vacancy', which received mixed reviews. Rowling excels at plots, but anybody who has ever had to plough through a Harry Potter novel with their children will be all too aware of her plodding style. Genre fiction is more forgiving of literary limitations though and the Galbraith nom-de-plume could see Rowling launch a successful new franchise. "To those who have asked for a sequel, Robert fully intends to keep writing the series," Rowling said, "although he will probably continue to turn down personal appearances." Booksellers were overjoyed at suddenly having a new Rowling title to sell to readers who don't really buy books by other authors. A spokesman for Waterstones made himself heard above the sound of the tills going ker-ching. 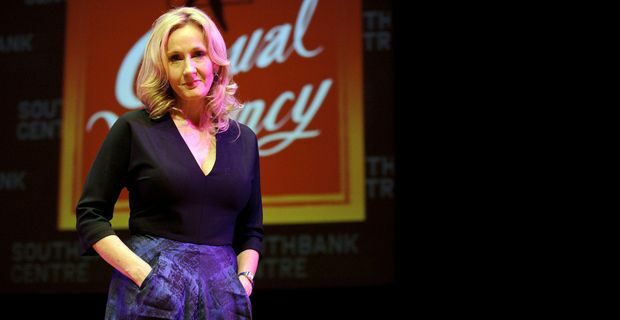 "Before 'The Casual Vacancy' was published, the general suspicion was that JK Rowling might write a crime novel: turns out we were right. This is a wonderful summer surprise for readers and booksellers."